During summer, you’ll see me cooking outside and grilling. My signature vegetable dish has become a staple at home, with squashes, eggplant and peppers dressed in olive oil and plenty of fresh herbs. I often like to change the seasonings for both vegetables and fish, every time I make them. This yogurt dressing is refreshing for hot August days and pairs really well with vegetables and chicken, but my favorites have become these easy and light sauces I made last week. 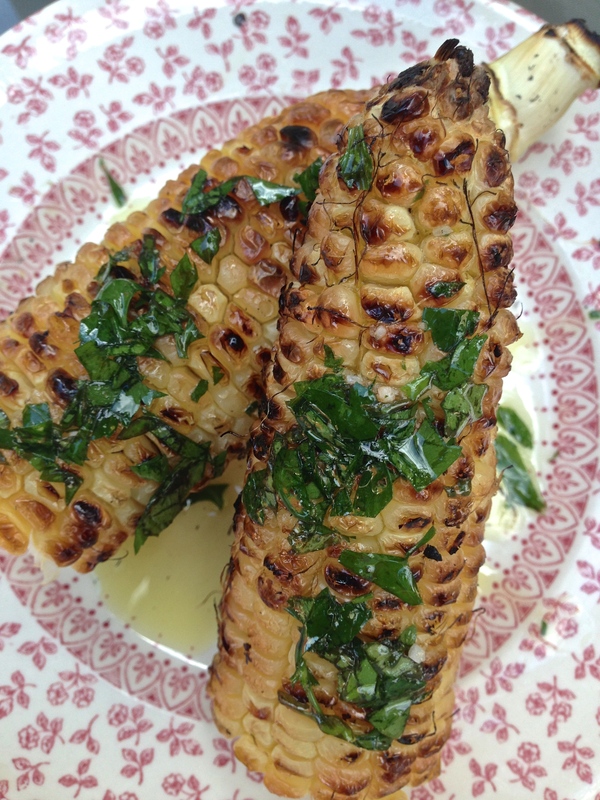 Grilled corn is often a treat for us, and since I’m not much of a fan of just butter spread onto it, I decided to create a sauce that is everything summer should taste like. Something that is light, full of flavor and tastes good on any vegetable. For the grilled vegetables, I’ll let them marinate in this sauce before grilling, and simply just brush it onto the grilled corn cobs when they’re done. 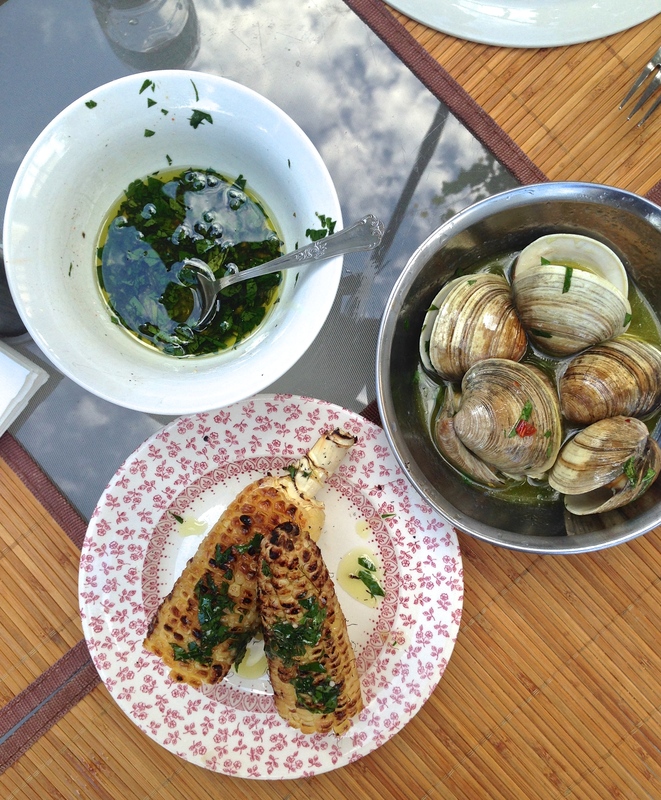 And the same goes for seafood – whole fishes, sardines, shrimp, clams…I’ll grill it all. My dad makes a killer garlic butter sauce for grilled octopus, and I wanted to recreate one that could be made quickly, and without having to turn on the stove. 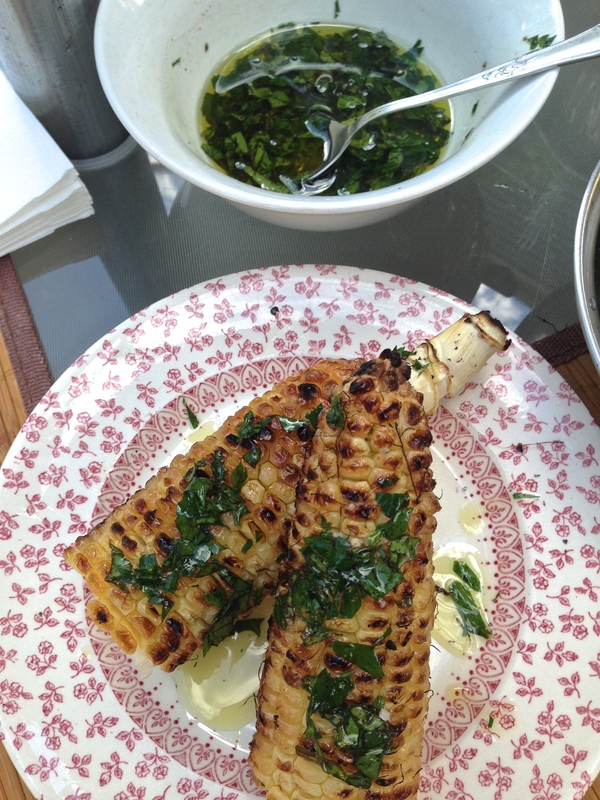 I put lemon on just about everything during the summer, it just adds a freshness and lightness to grilled dishes. 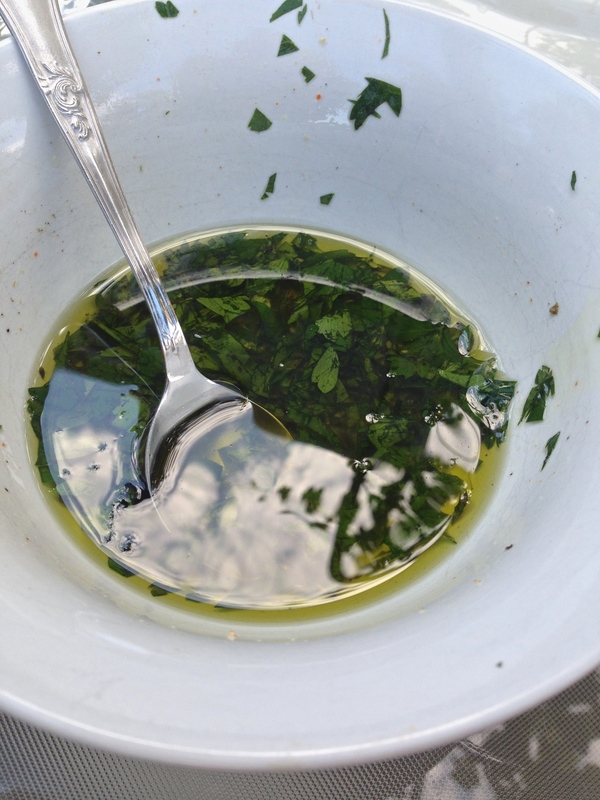 Then there’s fresh herbs, the choices are endless, When blended with lemon juice and olive oil, fresh thyme tastes phenomenal on not only clams, but corn too! With a few dashes of siracha, it was the perfect amount of heat to bring all the flavors together. 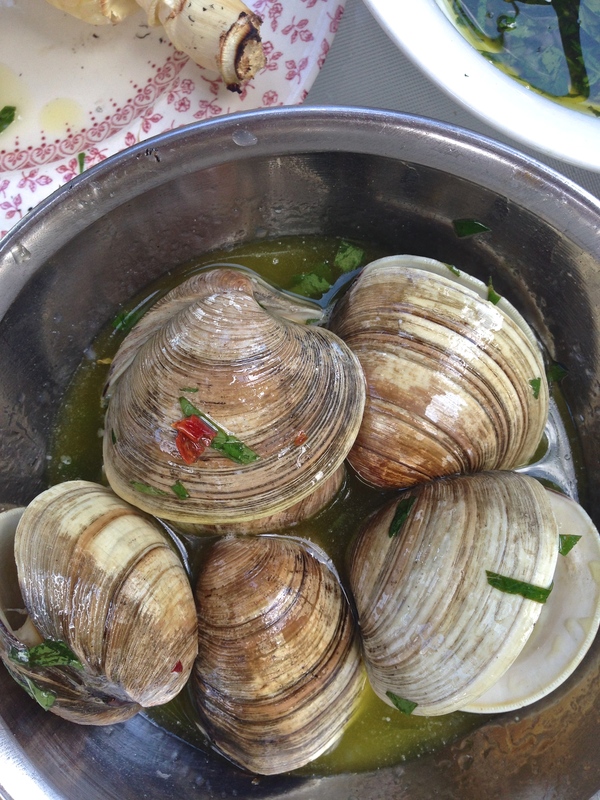 I tossed the grilled clams right into the lemon tarragon sauce as soon as they came off the grill, but you can use it to marinate shrimp or meat beforehand, then lightly coat the top once cooked. Even J couldn’t stop dipping his bread into the leftover sauce, so yes it tastes amazing with some toasted bread too! And although, it seems like talks about fall is everywhere, I’m totally in the summer zone. After all we still have a month before school and regular work schedules start again, so enjoy it with some new and delicious summer recipes. There’s still plenty of barbecues and al fresco dinners to be enjoyed! 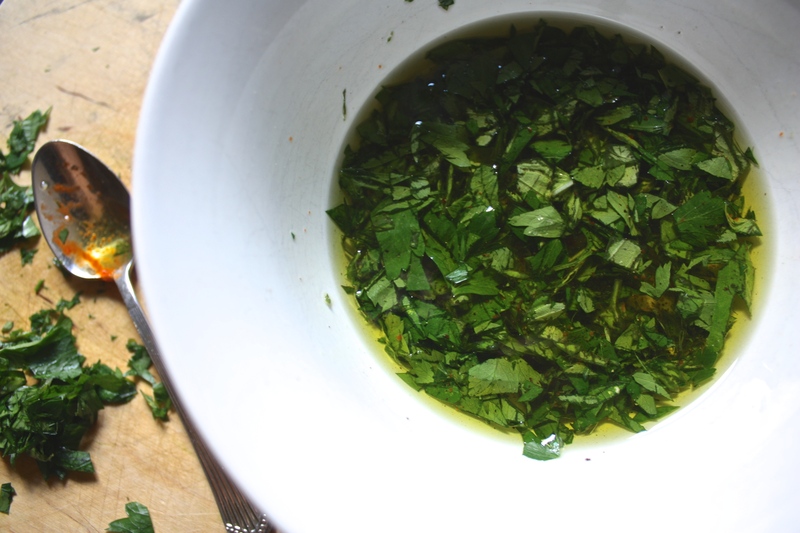 In a small bowl, whisk all your ingredients together. Season to taste. 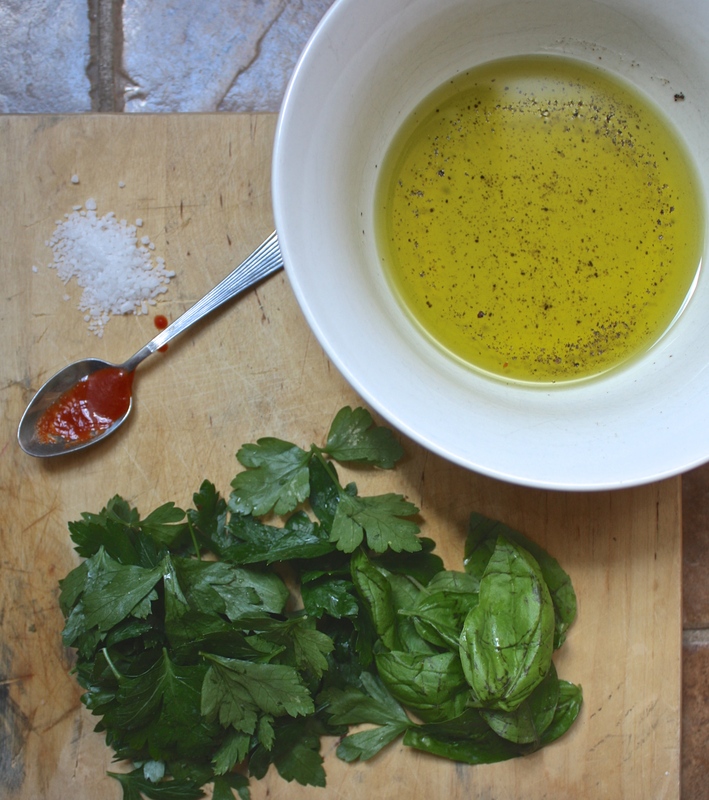 Toss with cooked fish, seafood or vegetables, or use as a dipping sauce. Can be kept in an air tight jar, refrigerated up to one month. 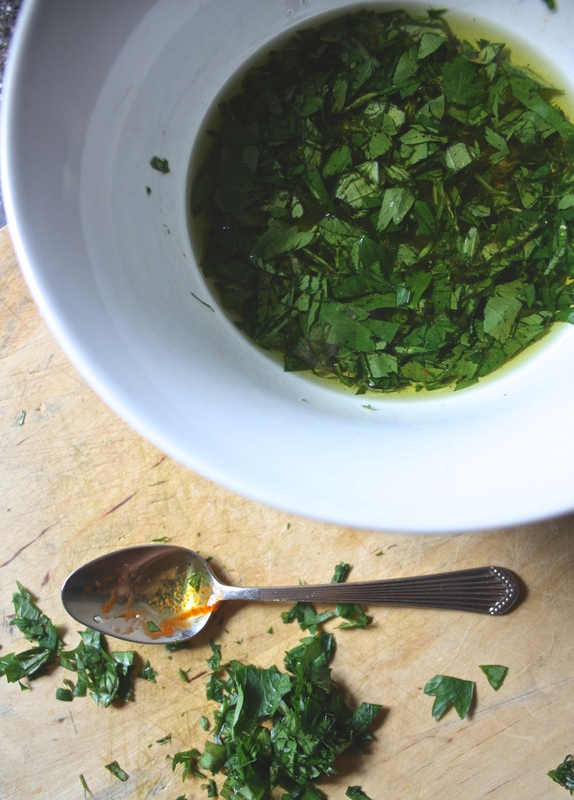 In a small bowl, whisk all your ingredients together. Season to taste. Marinate vegetables in dressing before grilling, then toss with any leftover dressing before serving. For corn, lightly brush grilled cobs with sauce, and serve. Can be kept in an airtight jar, refrigerated up to one month.